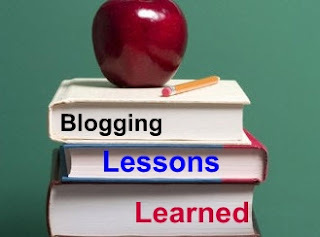 I had a wonderful opportunity to attend a blogging conference this weekend. Blog Better Boston held a Style Summit, primarily for style bloggers, but in actuality, it was a conference appropriate for all bloggers. It was my first blogging conference. I had business cards. I had a notebook. And I had anxiety. Until I started chatting it up. The Boston blogging community is made up of talented, friendly, helpful ladies who know how to put an outfit together like it's their job (and for some, it is). They understand their business and they're willing to share their best practices. In a nutshell, here's the Top 5 Lessons I learned about blogging from Style Summit '13. 1. When it comes to design, keep it simple. Think about fonts, alignment, and graphics. If your site is too busy or takes too long to load, readers won't come back. 2. It's all about the content. Write good, high quality content and develop an editorial calendar. It will help you stay focused and give your readers some consistency in what to expect. 3. Know your camera settings, and when in doubt, use the flash. 4. When it comes to analytics, know your audience. 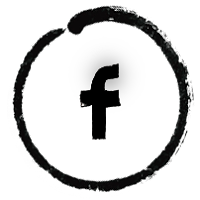 Regardless of your platform, take the time to find out who is reading your work. What are their favorite topics? Which posts get the most traffic? Content is everything. 5. When it comes to brands and sponsorship, dream big. Think about your readers and how you can deliver products that connect to your own mission and your readers' interests. Ask and (maybe) you shall receive. +1...Network. Chat with other bloggers. Learn from each other and pay it forward. Create a community that welcomes newbies and supports the veterans. Celebrate each other's successes and brainstorm solutions for others' challenges. We're all artists and writers and learners. Building community is a win-win. Before I left Style Summit '13, I was eager for the next one, another chance to learn and improve my skills, and meet new people. 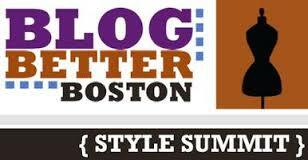 Thank you, Blog Better Boston, for a fantastic introduction to blogging as a craft and all that it involves. It was so lovely to meet you on Saturday. It looks like you had some great takeaways from the summit! Thank you, Amy. I had a great time. It was wonderful to meet you and the other Boston bloggers. I can't wait for the next event! It was so great to meet you Saturday! Happy early Anniversary! Thank you, Kathy! :-) It was a lot of fun! Stopping over from the Northeastern blogger hop! Thanks so much foe sharing this with us! I am so excited to attend my first blog conference in the future! Thank you for sharing!! Though late, stopping from the North East Bloggers weekend hop. I've always wanted to attend a blog conference. Seems like they could be a heap of fun. And this one sounded pretty cool.